With the inauguration of President-elect Hassan Rouhani this week, the PR battle has been joined in the US — those who see the new Government as an opportunity for engagement with Tehran v. those who want to push for greater sanctions or even military action to break the regime. Last weekend, the pro-engagement scored a notable victory with both an opinion piece — from the former French Ambassador to Iran — and a positive profile, again drawn from diplomats, of Rouhani. Now, the counter-offensive from those who are dubious about negotiations with the Islamic Republic. The conservative Washington Times reports that sub-committees of the House Committee on Foreign Affairs will hold two days of hearings on “Iran’s support for the Syrian regime in a civil war that has claimed 100,000 lives and Iranian influence in Latin America, where an Argentine prosecutor accuses the Islamic regime of running spy networks in nine countries”. Representative Ileana Ros-Lehtinen, the chairwoman of one of the sub-committees, declared that Iran is menacing Washington via Syria: “This conflict has brought the entire region to the precipice of utter chaos, and directly threatens the United States, our national security interests and our allies”. Among those set to testify in Wednesday’s hearing is Mark Dubowitz, executive director of the Foundation for the Defense of Democracies. He warned, in a June 17 piece in The Atlantic, that those calling Rouhani a moderate were “reviv[ing] a myth as old as that of the revolutionary theocracy, itself: The myth of moderation”. Any counter-attack on engagement would not be complete, however, without a scare report by David Albright of the Institute for Science and International Security (ISIS). He delivered on Monday night. In the New York Times last Saturday, former French Ambassador Francois Nicollaud wrote that Iran halted its nuclear weapons program in 2003, when Rouhani was chief nuclear negotiator. Albright’s report, “Lashkar Ab’ad: Iran’s Unexplained Laser Enrichment Capabilities”, is designed to raise doubts about that claim. Iran has taken many actions that have compounded suspicions that it has not stopped its uranium laser enrichment activities. They include Iran’s development of advanced lasers suitable for uranium enrichment, its past secret laser enrichment program, the extensive construction at the site of its original undeclared uranium laser enrichment program (Lashkar Ab’ad), and a 2010 high-profile Iranian announcement about having a uranium laser enrichment capability. 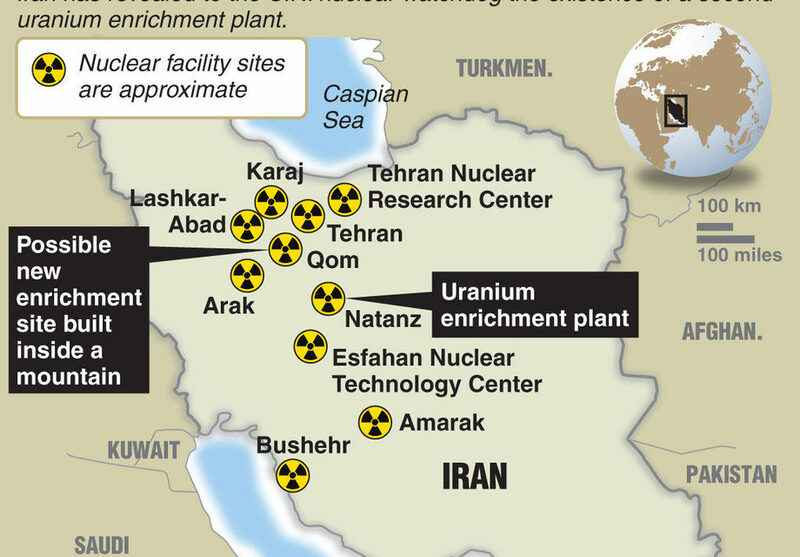 As a result, although concerns about Iran’s centrifuge and heavy water reactor programs are more pressing, the International Atomic Energy Agency (IAEA) is justified to also pursue whether Iran has had undeclared uranium laser enrichment activities since 2003. The dramatic claims raise questions. Why is Albright sudddenly bringing up a program that is more than a decade old? Why is he doing so when he notes that Iran stopped its enrichment activities at Laskhkar Ab’ad in 2003? The answer: Albright’s thorough research has found two commercially-available satellite images of the facility. These, he asserts, show how Iran has added several structures to the facility since 2003. Albright’s labels establish the new threat: “construction staging areas”; “vegetation planted on part of the construction staging area”; and “possible additional material in part of a construction staging area”. No further details are given of the “laser enrichment”. Instead, Albright deploys his common approach of discussing research that could be used in an atomic program — but could also be used for many civilian and non-nuclear programs — and extrapolating from this to declare Iran must be lying about nuclear weapons. If properly engineered, laser enrichment has the potential to dramatically advance the capabilities of proliferant states to secretly enrich uranium. To date, however, no nuclear program is known to have successfully used laser enrichment to produce kilogram quantities of HEU or quantities of low enriched uranium (LEU) large enough for a civil nuclear reactor program. Is Iran today continuing its work on laser enrichment at Lashkar Ab’ad? Commercial satellite imagery documents significant growth in the Lashkar Ab’ad site starting in 2008 and extending into early 2013. However, these images do not provide an indication of when the buildings were inaugurated or what is done inside them. PreviousMiddle East, July 30: Israel and Palestine Resume Talks — But Will They Progress?